This is an excerpt from my novel, Resistance, out now from Inkstained Succubus Press! 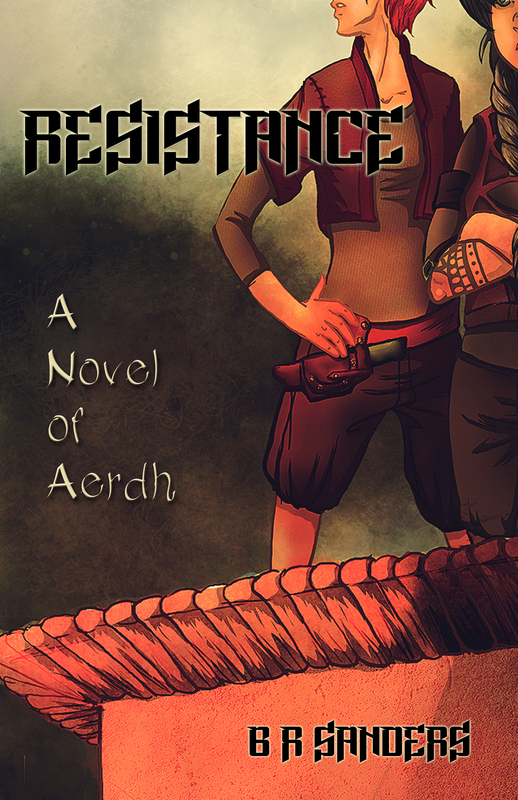 You can purchase Resistance here directly from Inkstained Succubus (support small presses!) or here from Amazon. Shandolin stepped inside the Semadran schoolhouse. The lobby was cavernous. She could see all the way up to the spire seven floors above her. Staircases wound around the lobby up and up and up. Strategically placed windows flooded the lobby with natural light. Doe suspected it would have been equally well-lit at night, too. Ensconced on the walls were dozens of small clockwork lanterns. Moshel leaned against the railing of one of the twin staircases flanking the room. His face, as usual, was carefully expressionless, but Doe could see in the tension of his body that he was not pleased to see her. Shandolin followed without a word. He led her down, into the bowels of the schoolhouse, into the dark and wet of the water wheel room. The water wheels were made of white stone, and they moved with a whisper. They were ghostly, the flashing white of the stone sometimes visible and sometimes hidden behind a translucent wall of rushing water. The room was as wide as the building itself. The strange configuration of space, broken as it was by the wheels and dark but for the flashes of naked stone, made the place eerie. Moshel didn’t help matters. He had been in front of her, leading her, but while her attention was distracted by the water wheels, Moshel had moved to her side. “Shandolin,” he said, and his voice echoed around the chamber. Doe jumped. She landed against the wall, which was slick from the ambient water in the room, and clutched at her chest. “How dare you threaten the caretaker?” Moshel asked, but it wasn’t really a question. There was an iciness in his voice he’d never used with her before. This entry was posted in Inkstained Succubus Press, RESISTANCE, Writing Snippet and tagged b r sanders, excerpt, fantasy, ficlet, new release, queer fiction, Resistance, writing by brsanders. Bookmark the permalink.